Daryl Johnson (Worcester Park, United Kingdom) on 23 July 2011 in Documentary & Street. 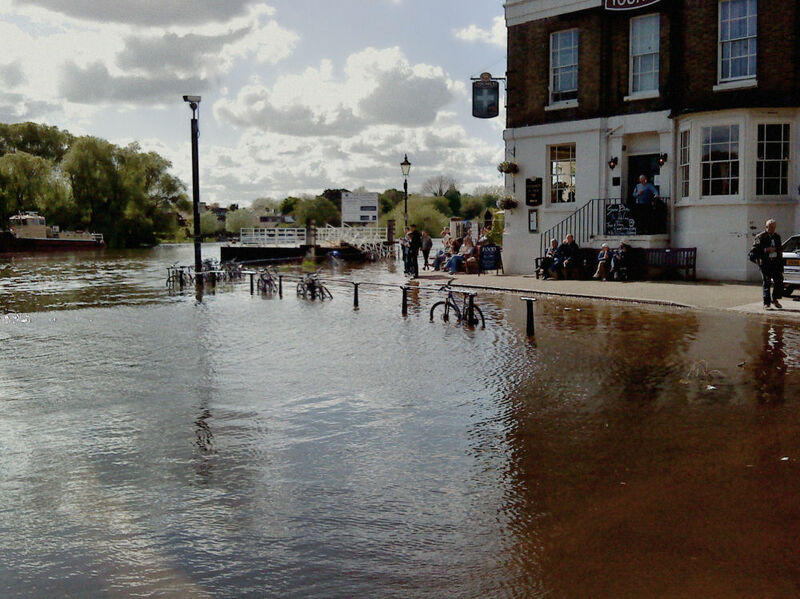 The road in front of this pub in Richmond famously floods at high tide - quite a sight! I must admit I still feel like a tourist when this happens near to me further downstream . . fascinating to watch. @Ronnie 2¢: It certainly is, and a very popular spot for it. @Eric Cousineau: This really is an everyday event Eric - it's part of life on several stretches of the Thames. Has been going on for generations! No wonder the patrons aren't concerned. "How about another pint, Harry?" That would be quite the sight. I would love to be there. Terrific shot.